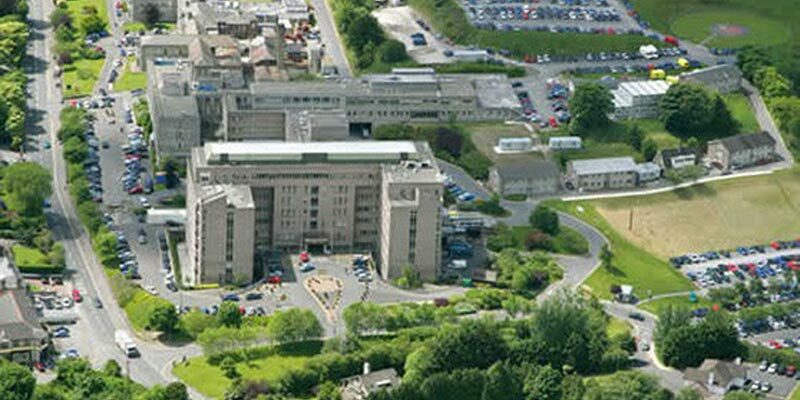 The refurbishment project for Sligo General Hospital was extremely delicate as the hospital site would be remaining “live” and fully functional and with any minor disruption of activities having the possibility to cause great discomfort to the vulnerable patients inside the building. Therefore a complete roof condition survey and project design plan were required. The works entailed the laying of Sika Trocal where possible but also the extensive use of Sikalastic due to its non-flammable properties minimising risks and fire hazards. Co-ordination of timing and materials were very important due to the weather reliance of cold-applied systems such as Sikalastic. We also installed a Cable Safe fall arrest system to increase roof safety and ensure regulatory compliance.